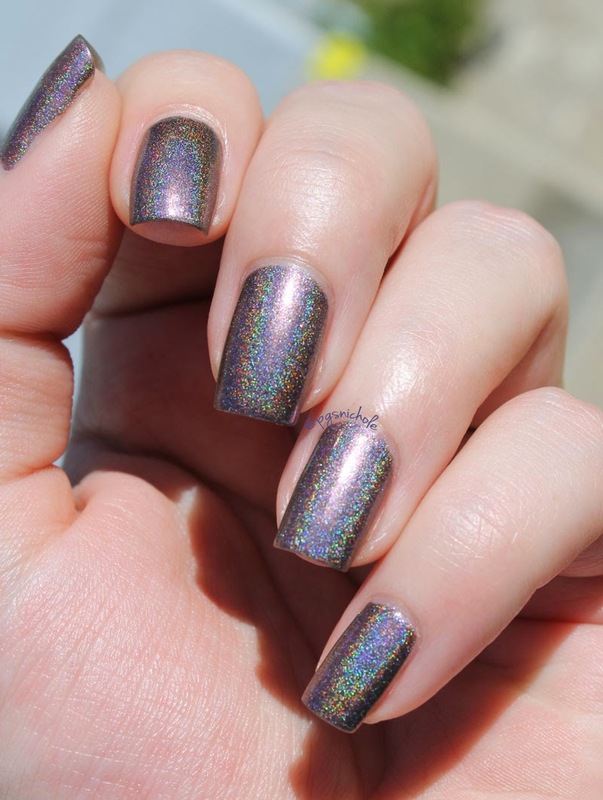 You know that moment when you see a polish and instantly feel a need to have it? Yeah...this was one of those times. I saw teasers of this, and knew I needed it. 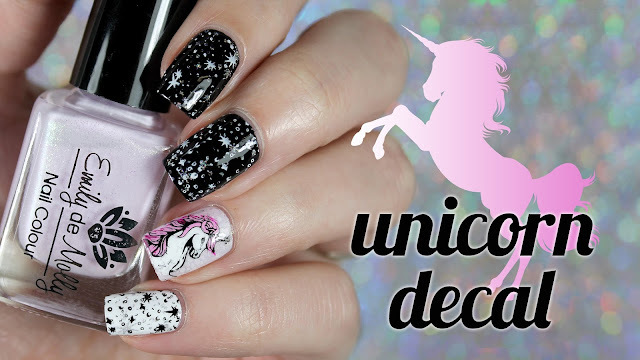 It didn't hurt that it was one of my polish bestie's (and spirit animal, btw) custom colors and from OPNL. I knew without trying it that I was probably gonna love it. And you know I love being right. 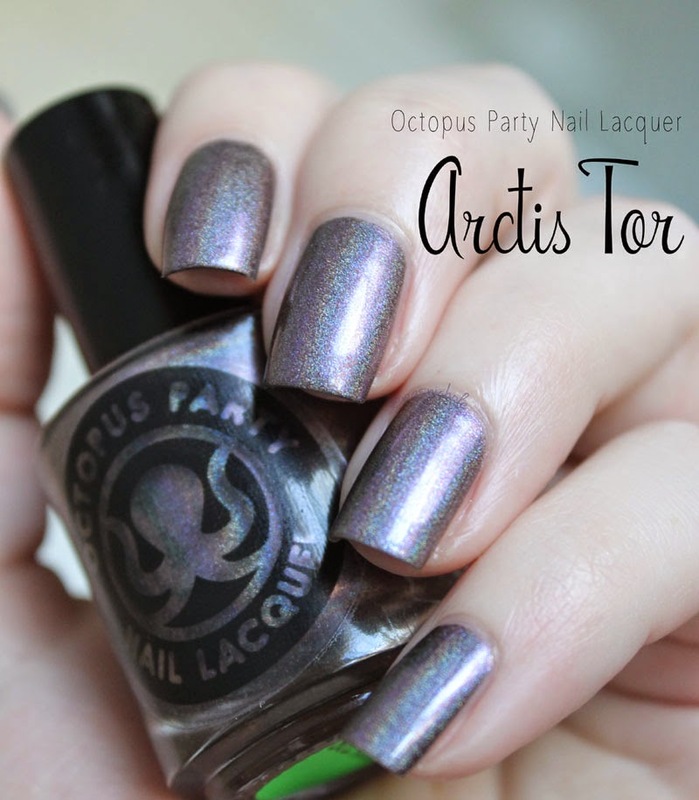 Arctis Tor is a silvery lilac holo with bright blue sparks. 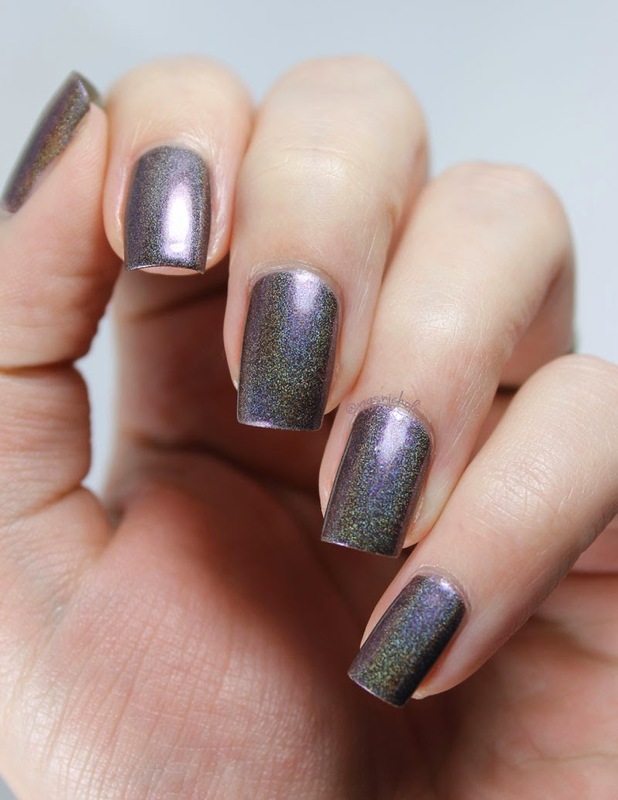 It is perfectly opaque in two thin coats. 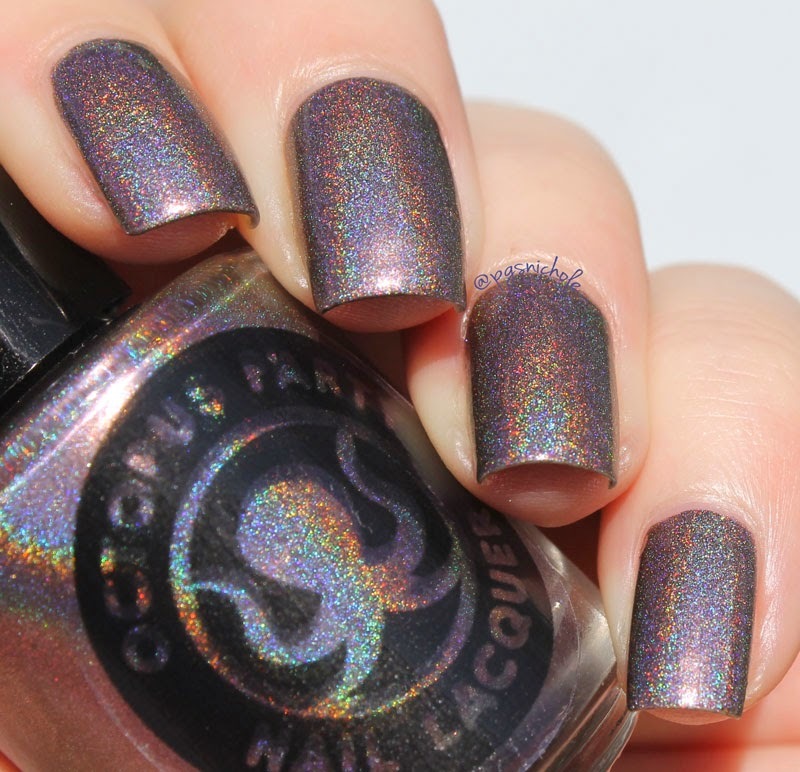 It is a custom color commissioned by Cate at All The Green Polish inspired by Queen Mab's stronghold in the Dresden Files series. I love how it looks in pretty much any lighting. When I first applied it, at night and under incandescent lighting, all I saw were blue sparks and flashes. It was stunning. In the sun, you see a lilac glow under a strong rainbow flare. 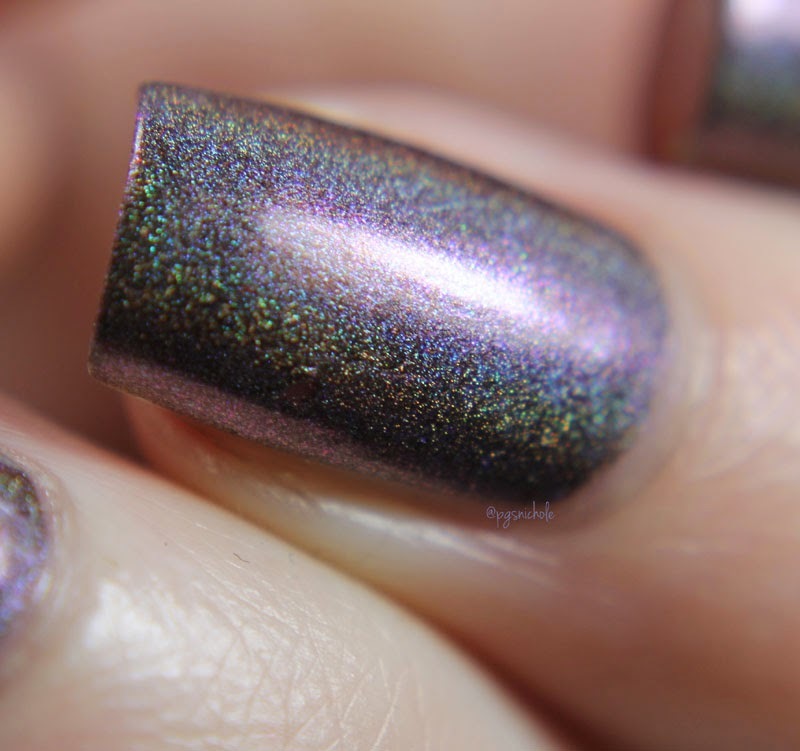 It is a perfect neutral purply holo. Arctis Tor isn't the first volley in her battle to Dresdenate the indieverse. That honor goes to Grasshopper with Cotton Candy Hair from Literary Lacquer. I'm not even mad though. This series seems to inspire some amazing colors. Arctis Tor is available from the OPNL shop, though I think it is currently out-of-stock. 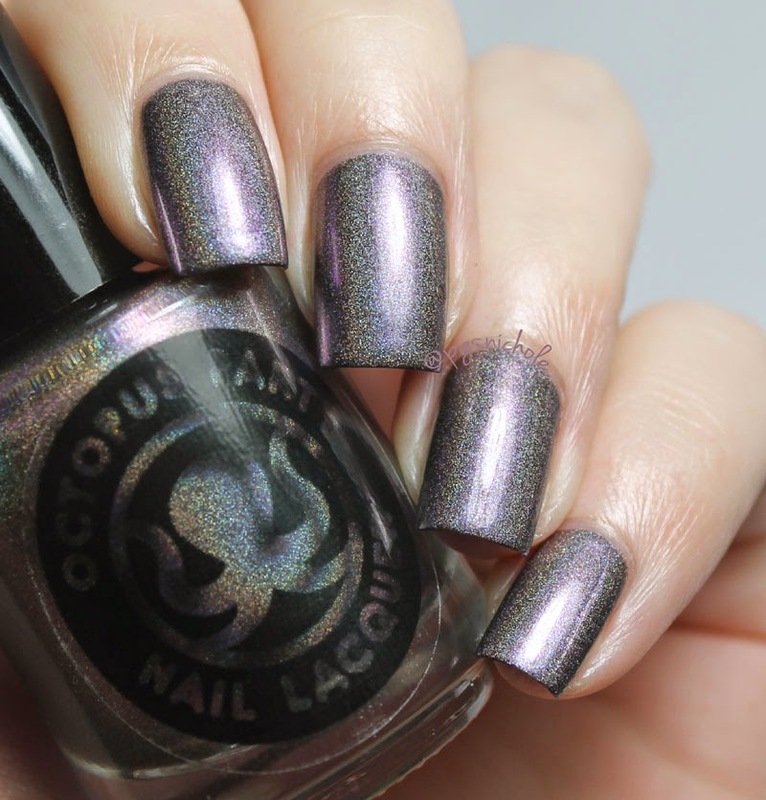 I hear rumblings that it is going to be restocked, along with Chimera...so I would definitely bookmark it!